AMD (NYSE:AMD) has again leapfrogged Intel when it comes to the number of cores in a single server processor. 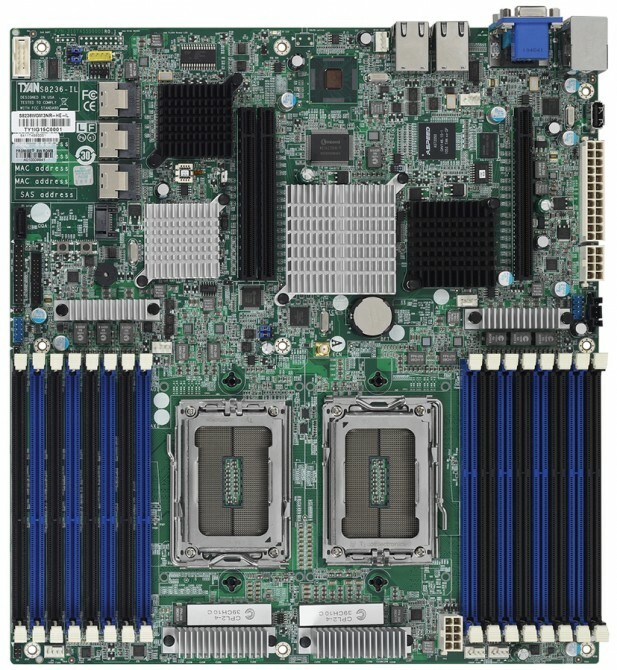 The latest Opteron 6200 series has versions available with up to 16 cores and supports 4 sockets per board, whereas the 4200 series supports a maximum of two sockets with 8 cores each. The 6200 series has four memory channels and the 4200 half of that. What is probably most interesting is that there is support for two different kinds of Turbo Core Technology. The traditional Turbo Core lifts the maximum frequency with about 500 MHz with half the cores operating, whereas the new Max Turbo Core allows the frequency to be increased by u to 1 GHz with only a single core operating. As something new AMD has also included a max power consumption features in the BIOS. That allows you to set the maximum power you want the processor to consume and then the BIOS will regulate the clock speed accordingly. At the same time as the new processors are introduced TYAN is also introducing supporting motherboards. TYAN is the first company to introduce 7 different SKUs that support both the 4200 and 6200 series. The new Opteron processors are fabbed in Dresden using 32nm process technology with high-K metal gates. With this new processor series based on the Bulldozer architecture, AMD is certainly giving Intel a run for its money.